Description: A package of 5 pairs of sterling silver or 14k yellow gold filled kidney wires. Having an open ring for quickly and easily interchanging dangles or drops without tools. 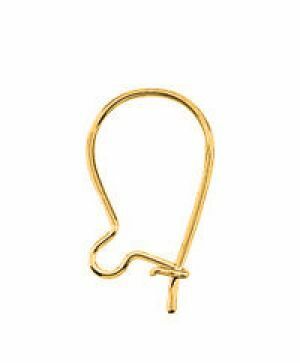 Just slide the dangle through the earring to change designs. Measurements: 14x9mm on 24 gauge wires.